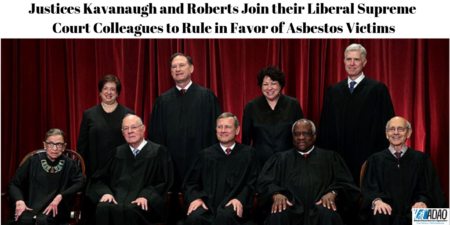 In a huge win for the asbestos victim community, the U.S. Supreme Court ruled this month that, under maritime law, manufacturers must warn about potential dangers of parts that contain asbestos, even if they were added on after the sale by third parties. Newly minted Associate Justice Brett Kavanaugh and Chief Justice John Roberts sided with the court’s four liberal justices on the 6-3 ruling.  As the largest independent asbestos victims’ organization in the country, the Asbestos Disease Awareness Organization (ADAO) is grateful for their decision to increase protections for American workers and service members. The case focused on five manufacturers that sold parts to the U.S. Navy that required the use of asbestos to function properly. The asbestos was applied to the product by the Navy after delivery of the parts, so the manufacturers argued that they should not be held liable for the resulting health impacts, despite knowing that the asbestos was a necessary addition to the product they sold. Two Navy veterans who were exposed to asbestos by these products and later developed cancer filed suit against the manufacturers for failing to warn them of the known dangers their parts posed to human health. While this particular ruling is limited to maritime law, which covers only nautical issues, it is extremely encouraging to see the nation’s highest court stand in defense of asbestos victims and hold responsible negligent manufacturers that would knowingly expose us to this deadly carcinogen. Please join me in thanking Justices Kavanaugh, Roberts, Ginsburg, Kagan, Sotomayor, and Breyer for their efforts to protect the American public and our armed forces.